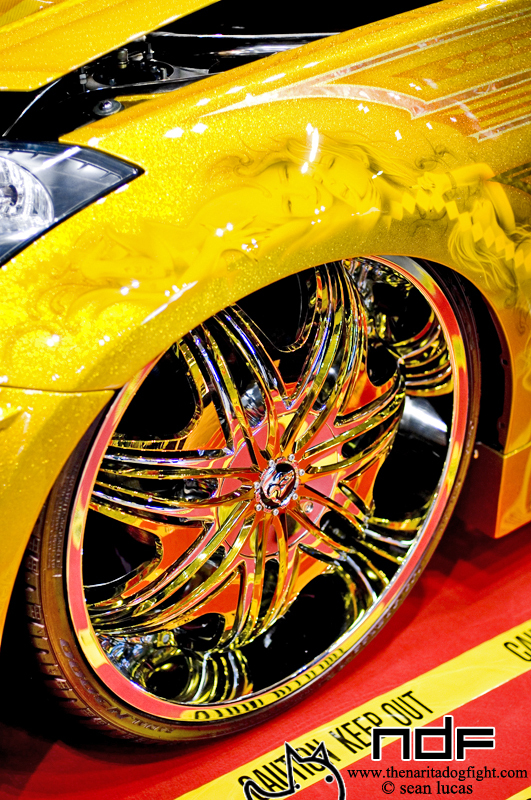 Tokyo Auto Salon is a sort of misleading name for this event. If we could modify the title to something like, ‘Tokyo Model Salon’, it would read more accurate. Seriously, you couldn’t get a mile away from any car if there was a model in front of it. As soon as a girl appeared, a mob of hormonally charged Japanese men would crowd so close that I couldn’t get anywhere near the booth to shoot the car. Because of this, my coverage isn’t as organized as I would have wanted, but I’ll try my best to post in the directions in which I walked. OK, with all that out of the way, I will say that this show was nothing short of epic. It was my third time attending but my first time shooting for the website, and I gotta say it’s a lot more stressful trying to take it all in – again though, I wasn’t disappointed in the turnout. Sure, there were 30 billion people there, but it just added to the atmosphere. In the posts to follow I’ll do my best to cover not just cars, but booth and product displays as well. Click past the break for more. 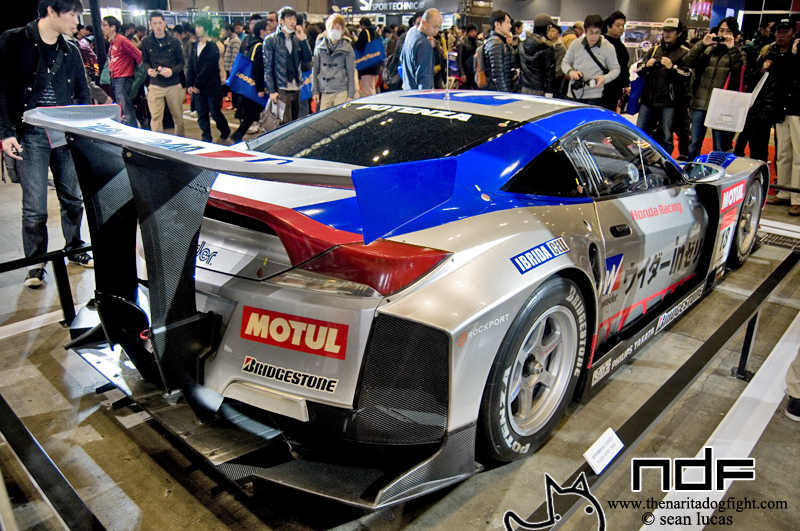 TAS is held annually at Makuhari-Messe, which is a gigantic convention center made up of numerous halls. TAS spans 3 of the largest, as well as outside drifting shows and other exhibits. I’d love to show you what the place looks like from the outside, but due to a failed CF card, I can’t. We entered into the middle of the halls, and started our journey at the Mode Parfume booth. …as seen here in all their glory. 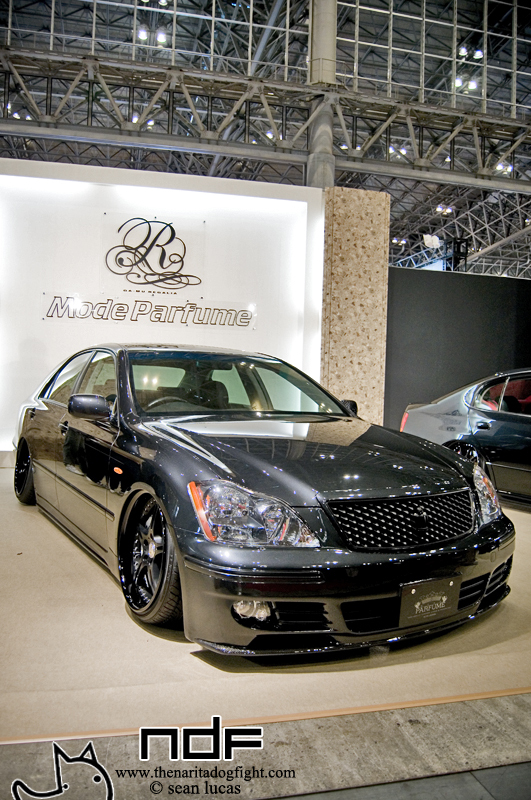 The Mode Parfume booth had the nicest LS of the show in my opinion. But their cars have always been clean. 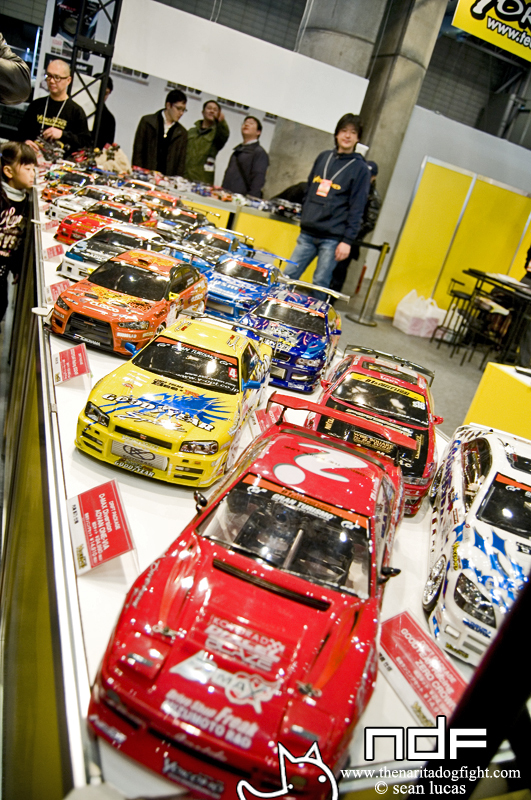 From there we strolled over to the Yokomo booth, where they had a RC drift track set up for everyone, but mainly kids, to try out. 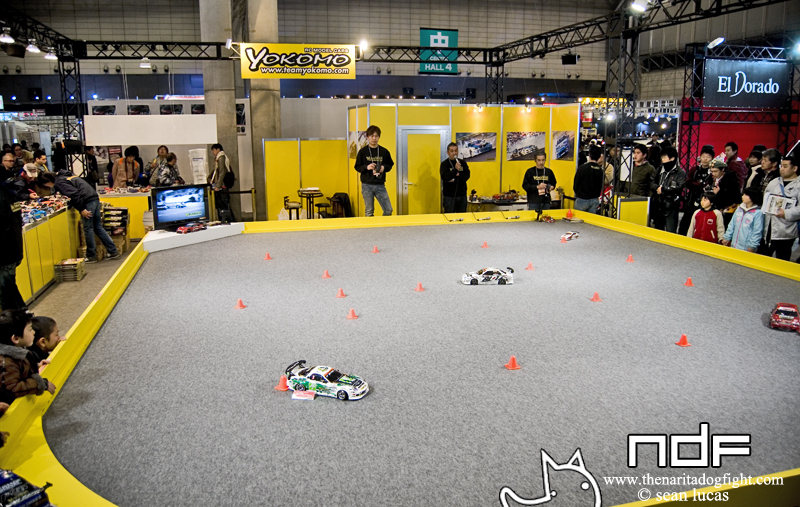 Earlier in the weekend, the D1 judges had a Q&A here, and tried their hand at RC drifting. They had a grip of cars on display too. On one side they had the entire lineup of D1 models. J-Line booth. Is this So-Cal style? Can anyone tell what kind of car this is? Random Hi-Ace. 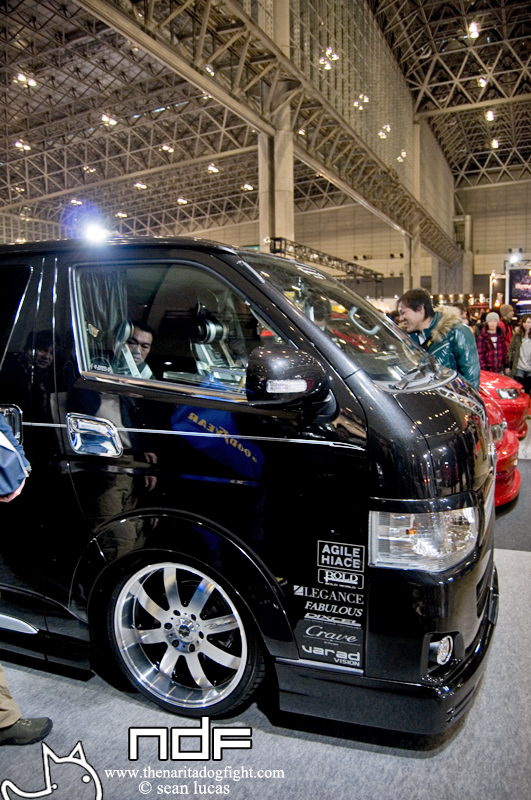 The van scene in Japan has exploded in the past few years. 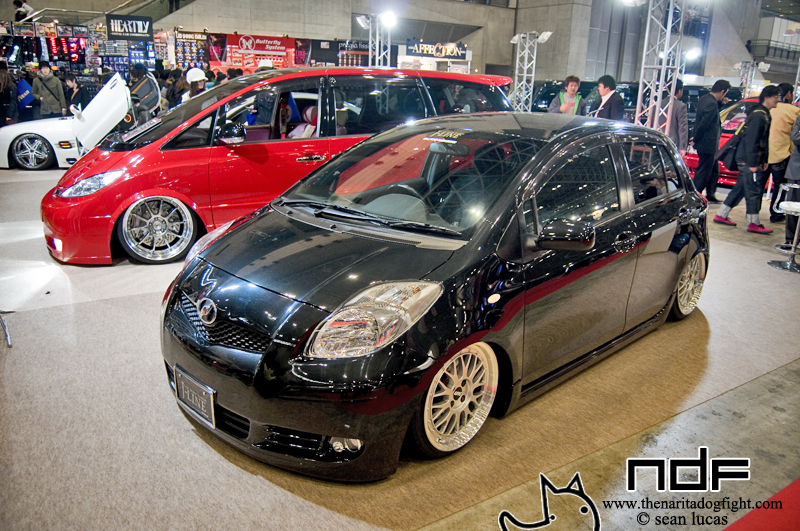 Some crazy Estima done up in typical Japan Van fashion. CD peddlers. Mostly Euro-Trance ‘driving music’. 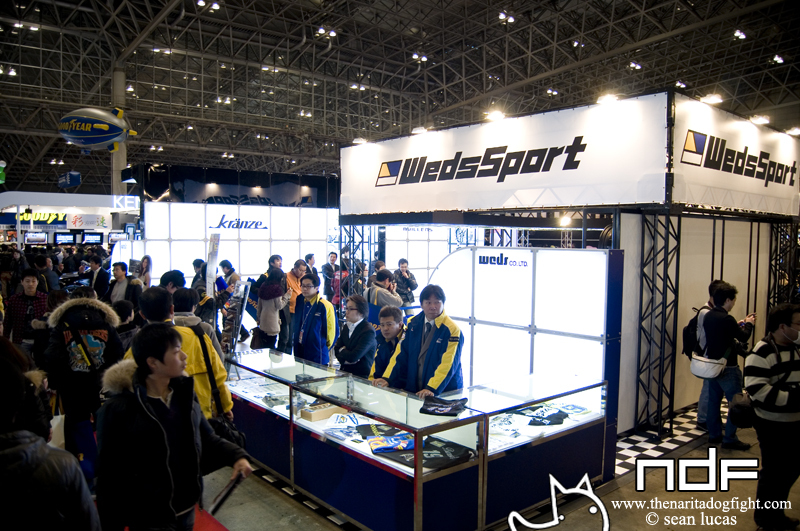 WedsSport! One of the many booths who gave me free swag because I’m from LA. 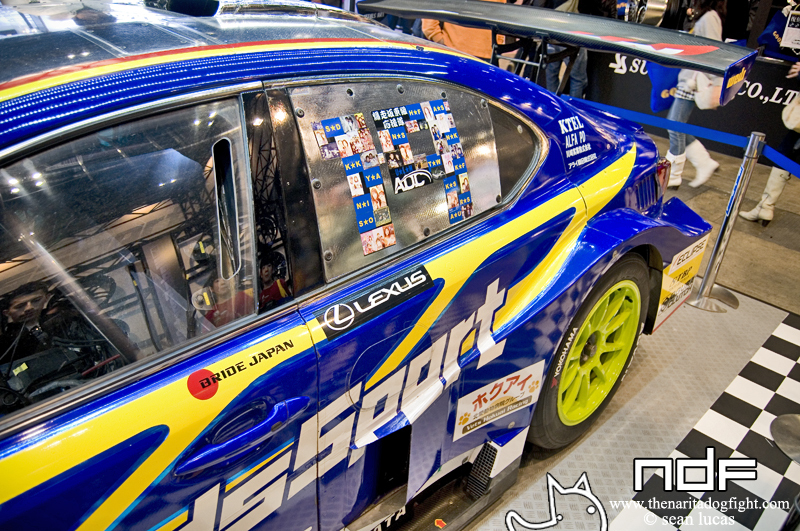 They had on display their winning GT300 car. Orido actually drove this with Kataoka last year. I got to meet MAX* later on in the show. This IS was car number 19. Can you tell? 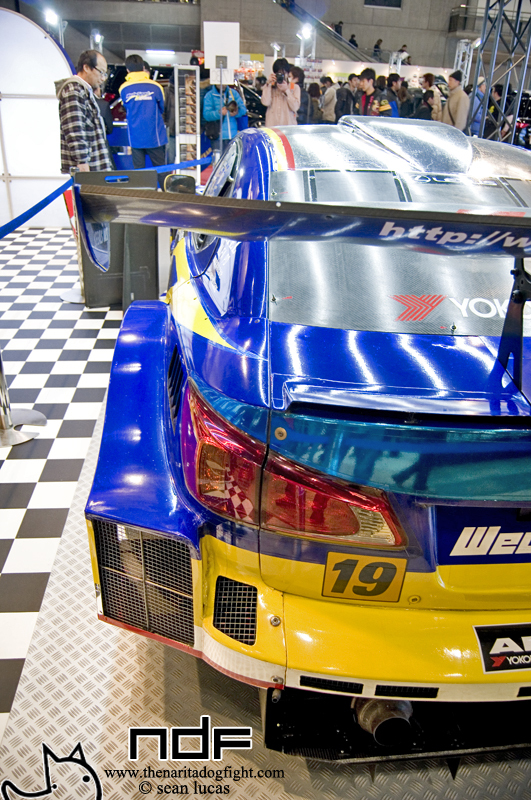 Massive diffusers adorn the rear of all these GT cars. Makes them look so tough. 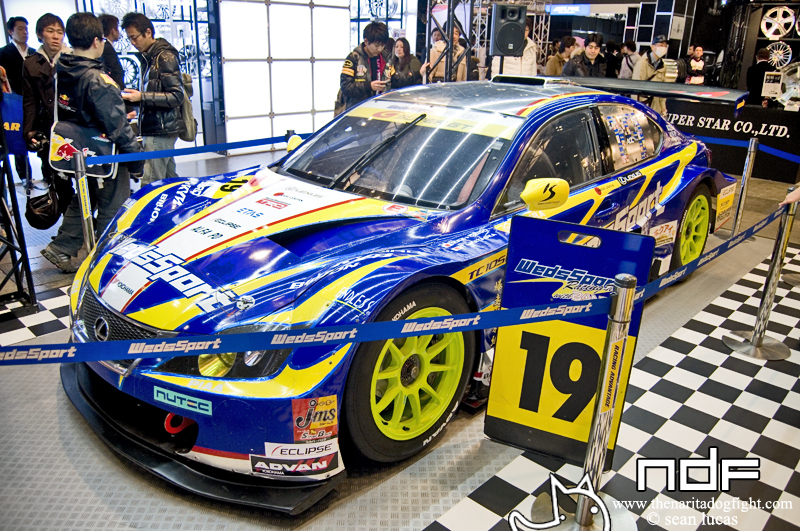 I was hoping Voltex would have a car on display, but they had a smaller booth. 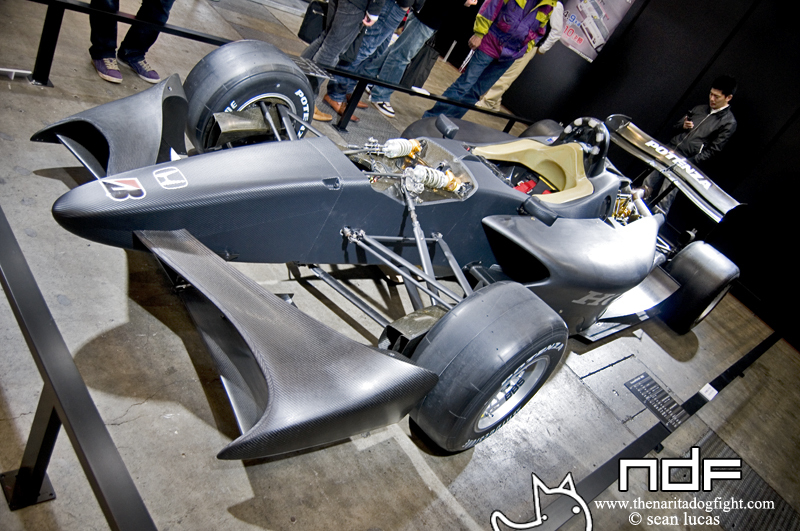 It was full of various aero, GT wings, and this scantly clad model. Abarth is a smaller, Italian sports car company that is closely related to Fiat. 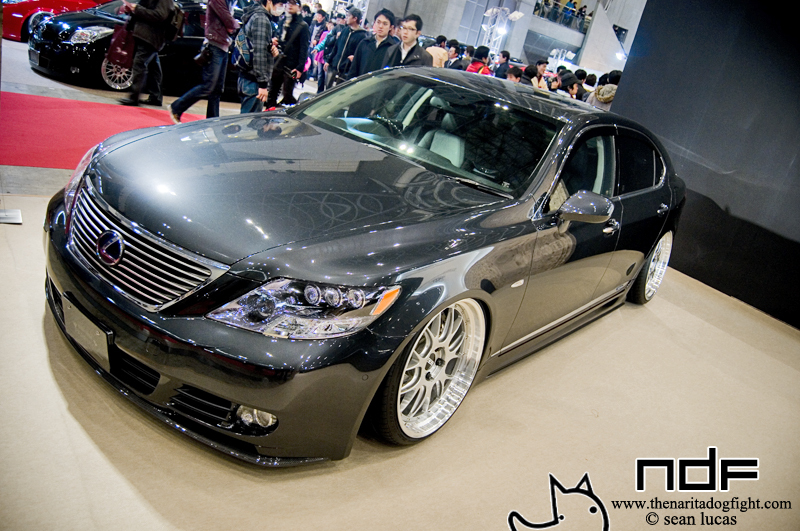 They churn out heavily modified 500’s. They had a large booth with various small cars on display. I wonder if we’ll hear more from them with the Fiat 500 coming to the states? 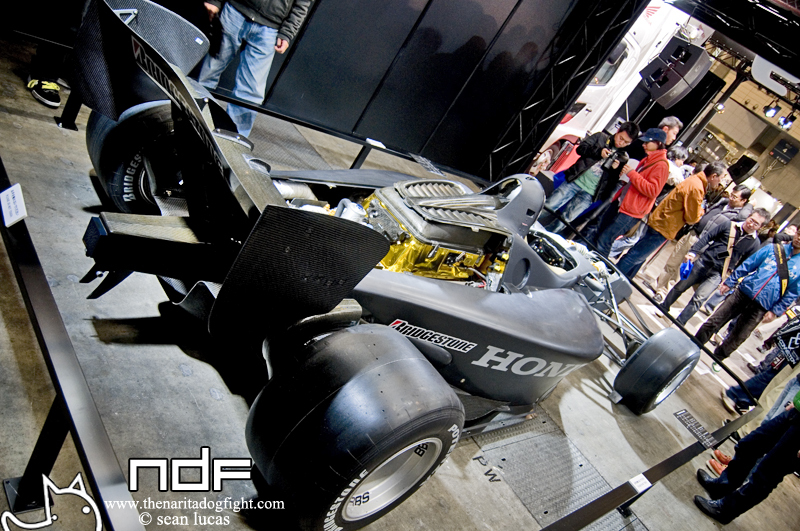 Takero’s had this sweet Odyssey Absolute on display that was sporting a ton of carbon parts. They are known for tuning Odysseys. They also had this hideous 350 on display too. I’ll forget I even saw this…I guess there is a market for everything. 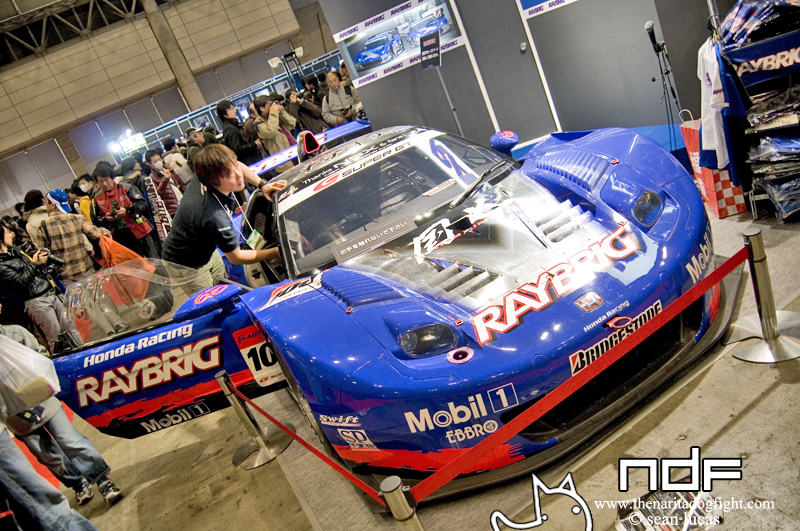 Raybrig had on display their race car, and were letting people get a chance to sit inside of it. The lines for these things were huge, so I usually forgo-ed the opportunity to try it out. 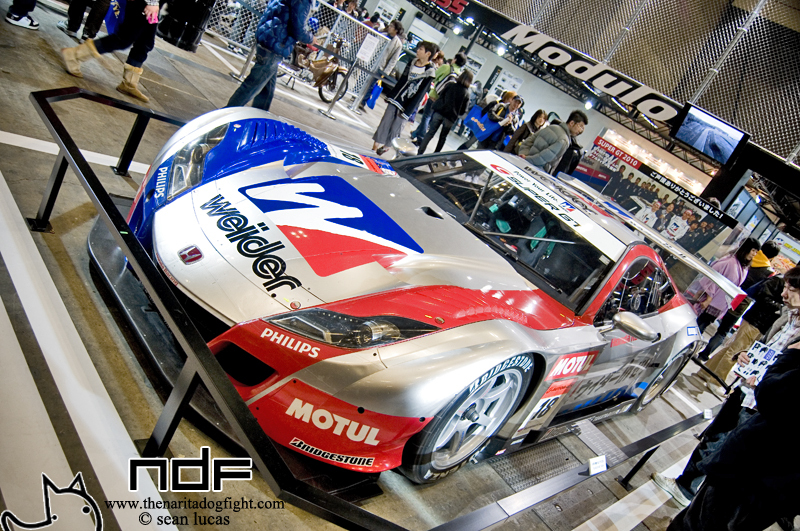 Over at the Honda booths, the center of attention was the Weider HSV. It is fairly similar to the Keihin one we featured a while ago, but you can pinpoint aerodynamic differences if you look close enough. Honda had a few bikes on display as well. If you think about it, Honda’s motorcycle tradition is older then their automotive side. Soichiro’s first bike produced was the Cub, of which I am a huge sucker for. 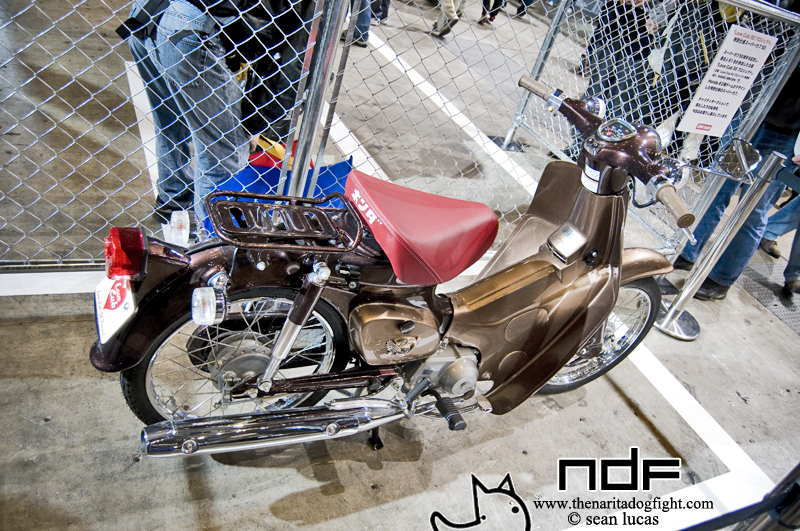 You don’t see Super Cub’s around the city much anymore, but they are definitely classics. Open wheeled racing is by far my favorite of the sport, preferably F1. 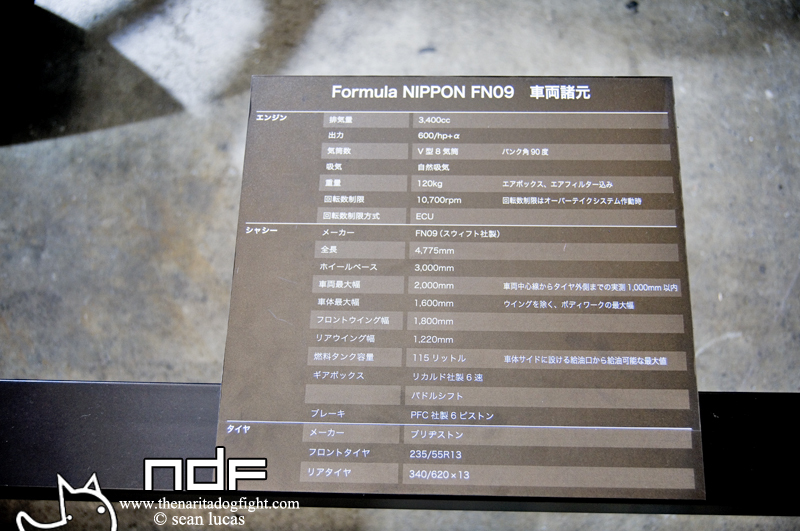 So I was pretty excited to see Honda brought out their FN09 Formula Nippon test car. 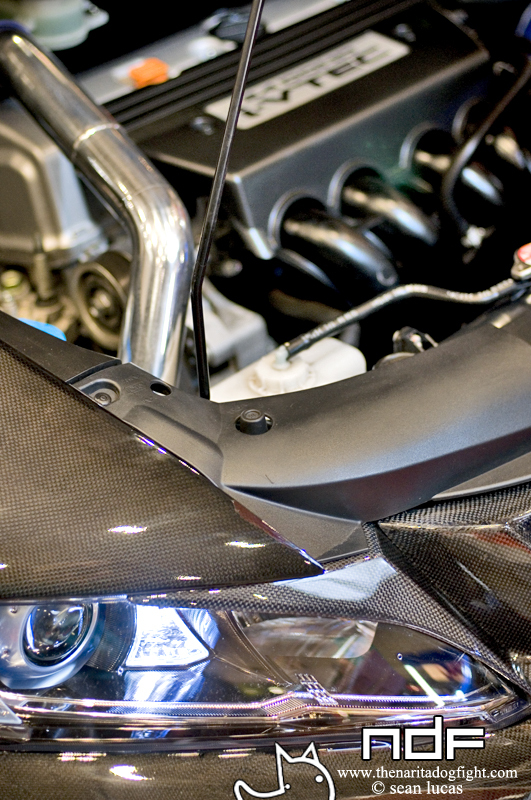 The ~3.4 liter, V-8 engine produces nearly 600HP. The unpainted dry carbon gives it a pretty mean appearance. 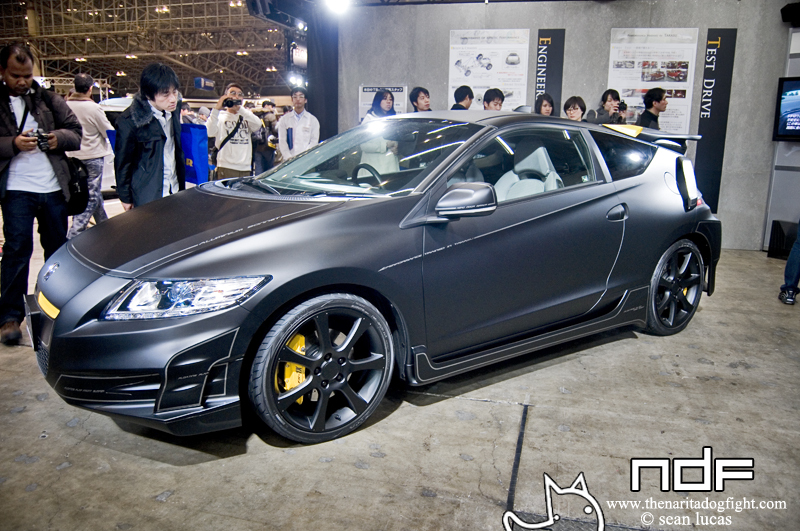 While this CRZ ‘TS-1X’ was sporting some developmental aerodynamic parts. 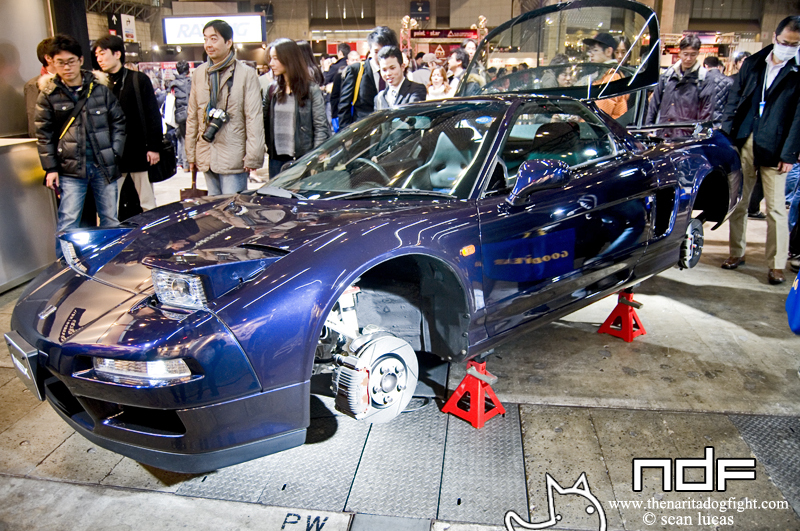 For more info on this display and car, check out the JDM Clips video of it here. 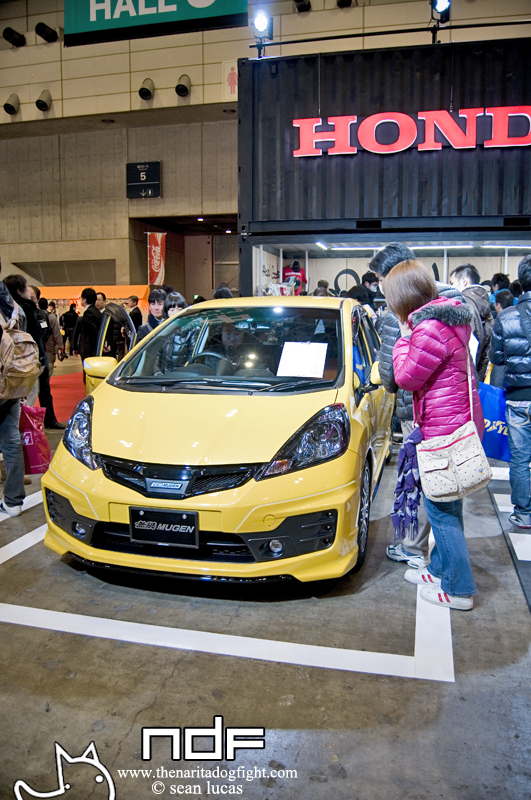 This Mugen built Fit sat on the outside of the Honda booth. 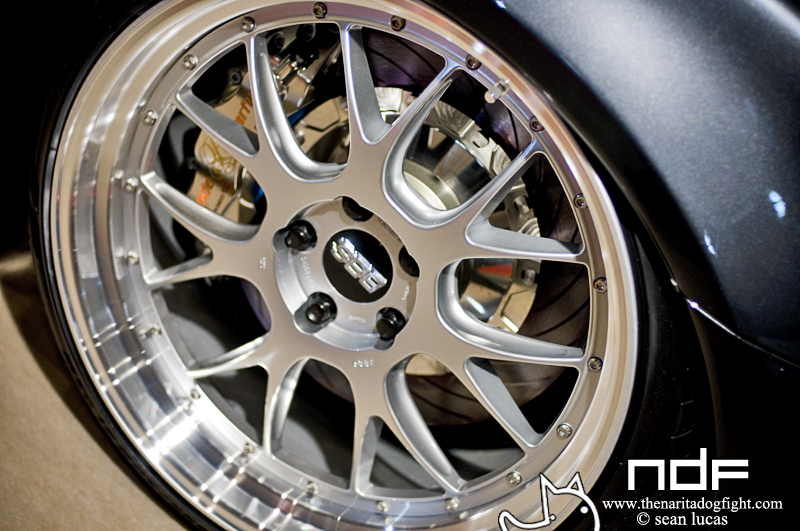 The overall design wasn’t so bad, but the wheels Mugen chose were somewhat hideous. Of course, this is something we’ll never get in the states. That wraps up the first post from TAS. Trust me when I say the others will be MUCH better. The middle hall was so-so in my opinion, but the two other halls were stacked with good stuff. 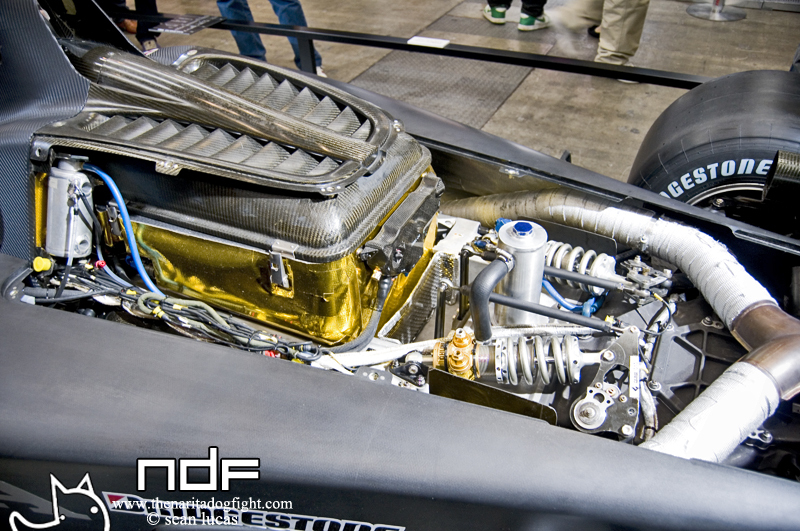 J’s Racing, Nismo, URAS, Work, PANspeed, Subaru, NGK, Top Secret and all the RH9 cars will follow shortly. Definitely stay tuned. The black car is a Toyota Yaris as it’s called in Europe. Awesome coverage man. This has got to be some of the best I’ve come across. I’ve been peeping your blog for a while. You’re doing great things on here, keep it up!